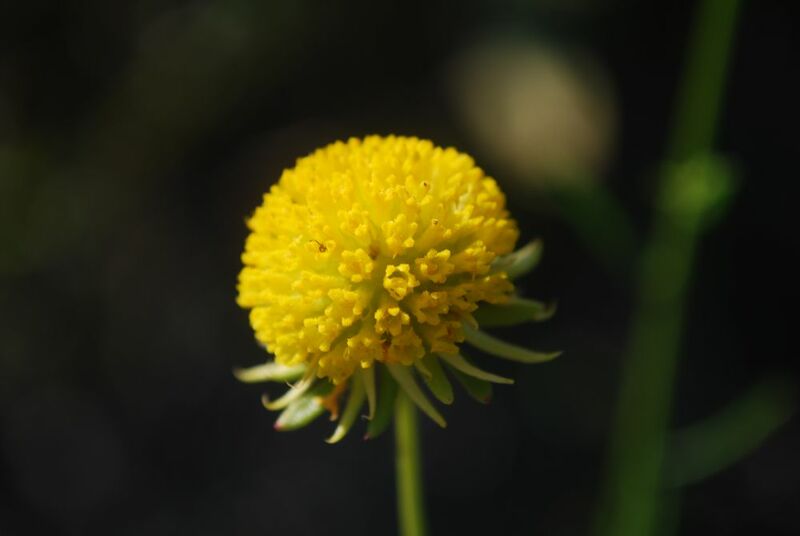 In the spring of 2006, a wildfire swept through the pine flatwoods on the north side of Wickham Park, destroying many of the interesting and unusual wildflowers I had previously photographed and identified. 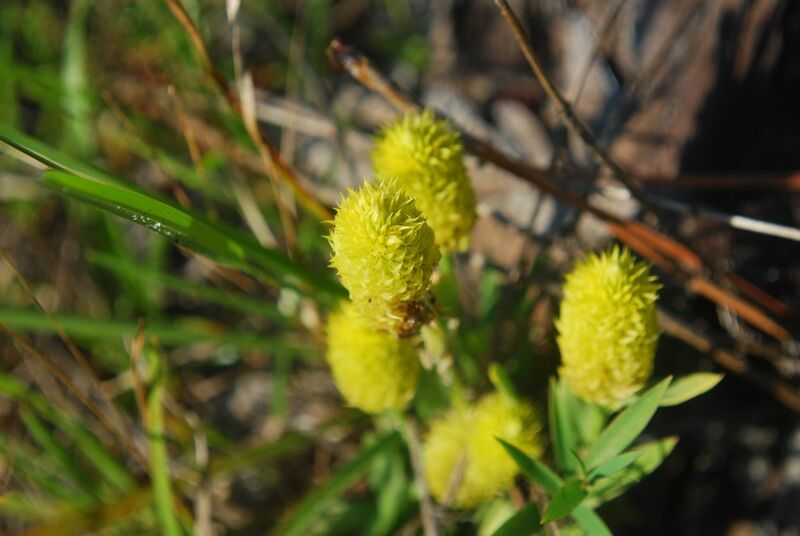 Soon after the wildfires, wide firebreaks were plowed through the woods, including through one of the most productive areas for unusual wildflowers. 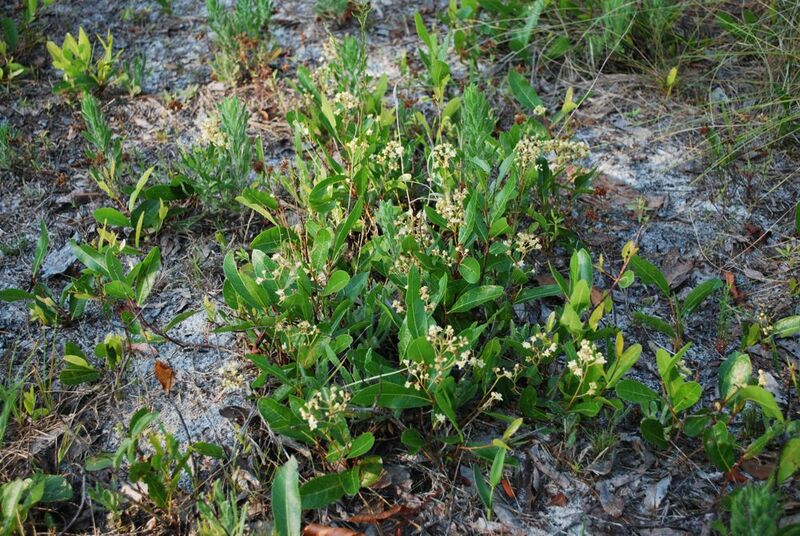 Prior to the wildfires I had identified about four species of milkweed, coppery St. John's-wort, and Florida beargrass. 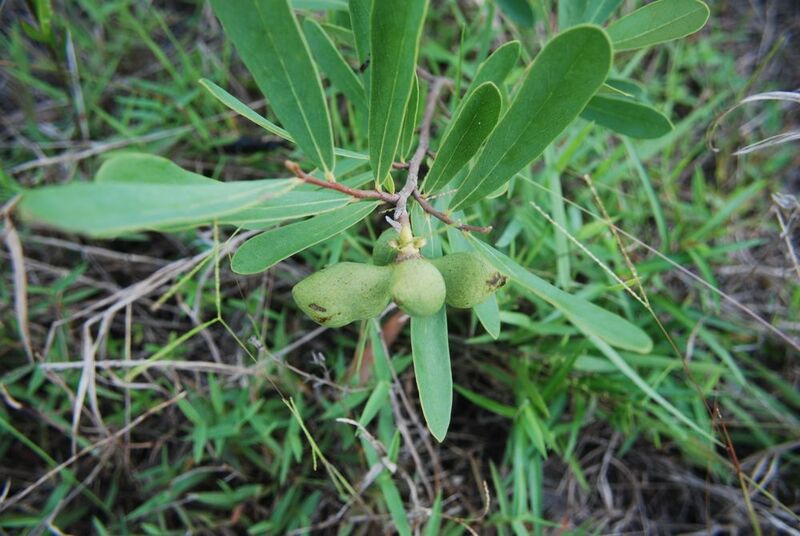 The latter was special because it is a Florida endemic and is rare and endangered. On this day I returned to a couple of areas where these unusual wildflowers were formerly found. 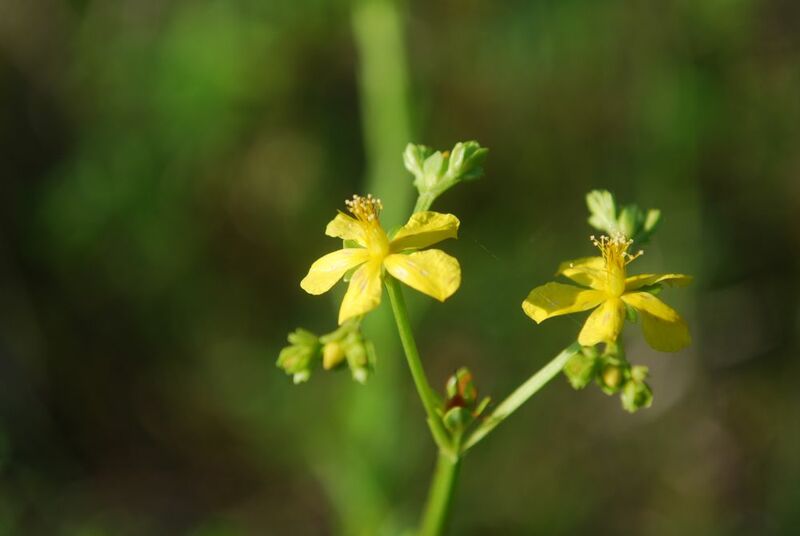 I looked but found no sign of the milkweeds or the coppery St. John's-wort. 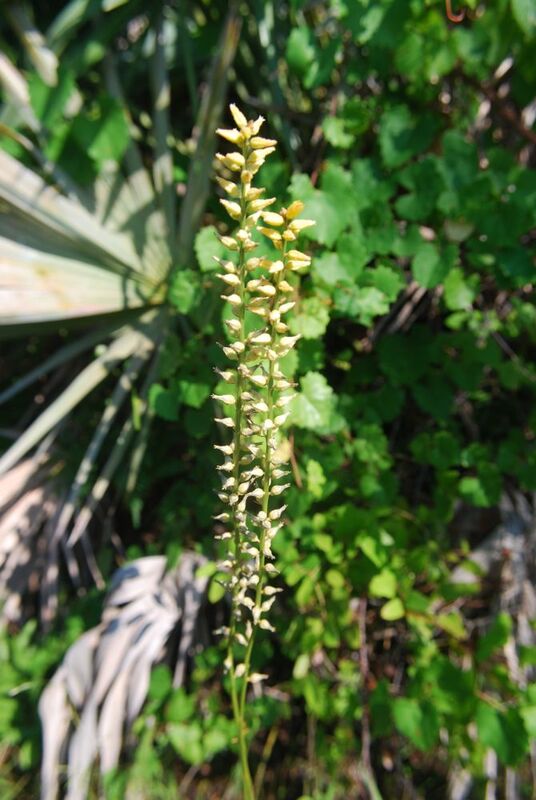 So, I was excited when, further down the trail, I found one specimen of Florida beargrass. (Before the wildfires, I had found six beargrass plants.) 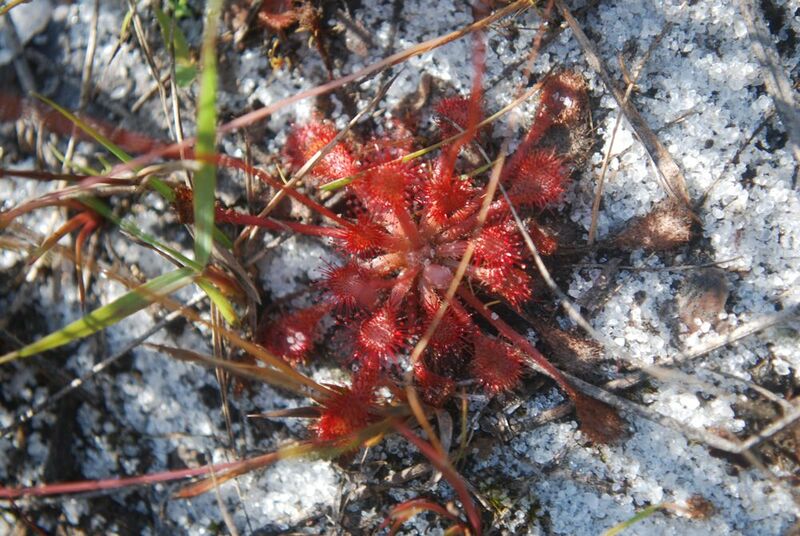 In a boggy area of the park I found sundews right where I had left them. Also, yellow colicroot, redroot, yellow milkweed, sabatia, and meadowbeauty were still growing where I had last seen them. 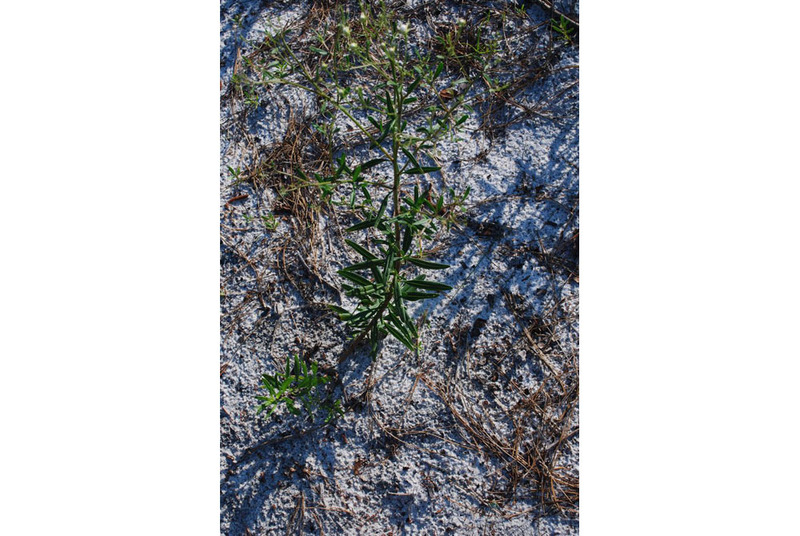 Native; dry, sandy soils; found only in Florida and Georgia. 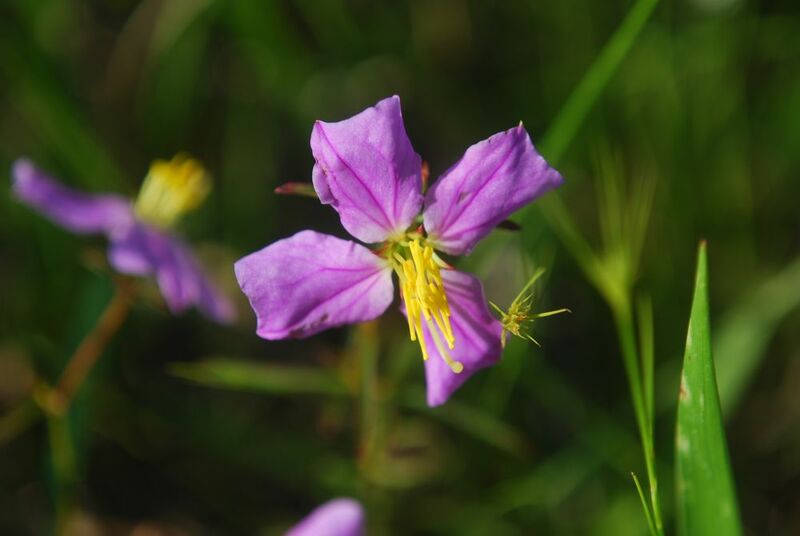 Native; Florida endemic; moist soils. Native; moist soils; found only in Florida and Alabama. Native; moist soil; Florida, LA, MS, AL, GA. Native; mosit soils; southeast US. 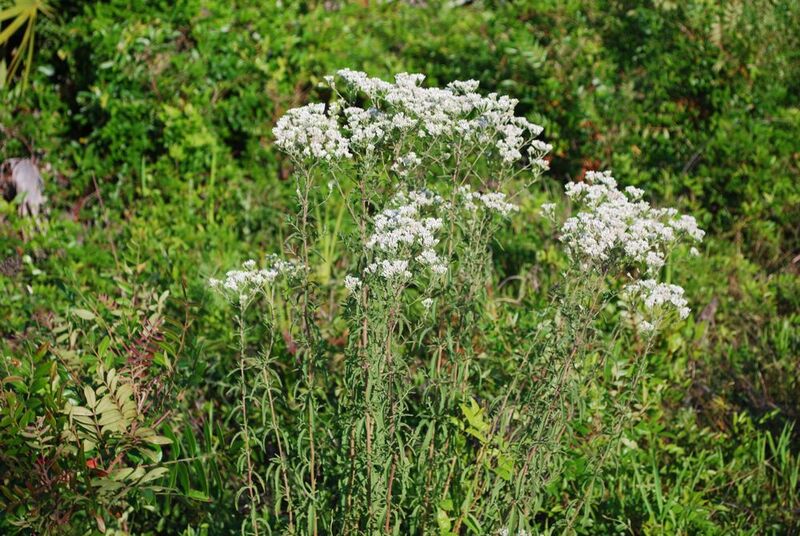 Native; dry, sandy soils; southeast US. 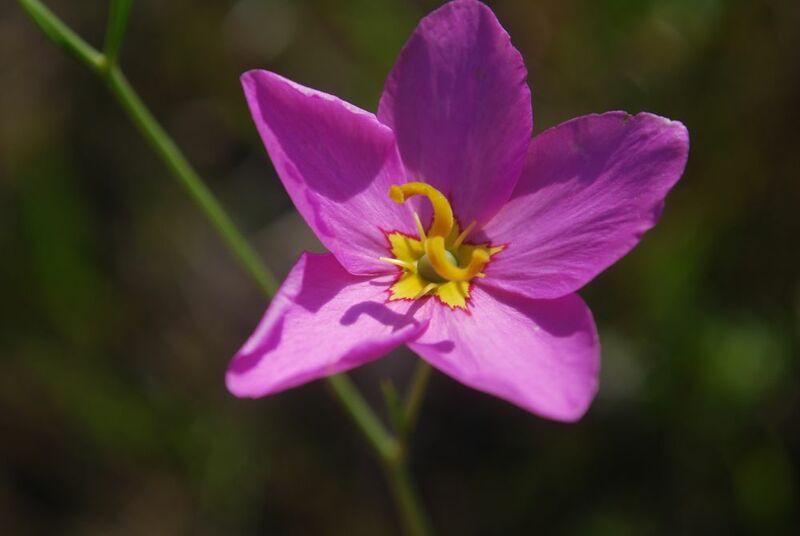 Native; boggy areas; southern US. 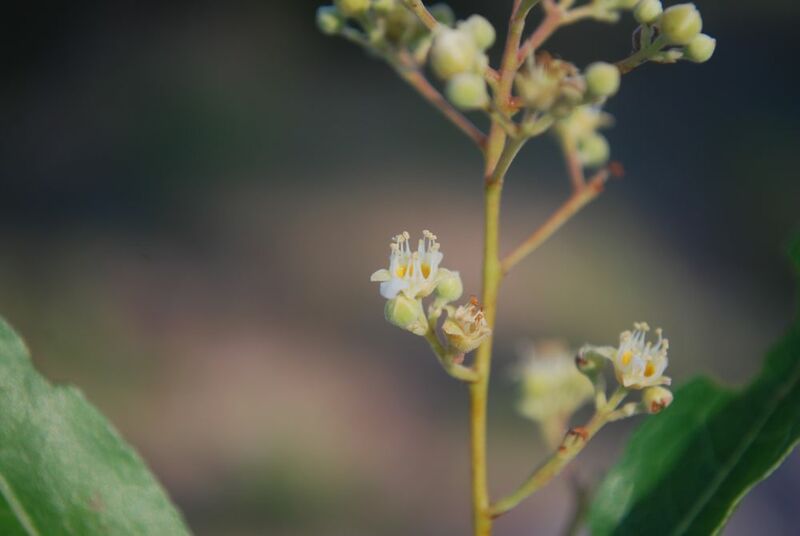 Native; Florida endemic; dry, sandy soil; found in a few counties along the east and west coasts of Florida. 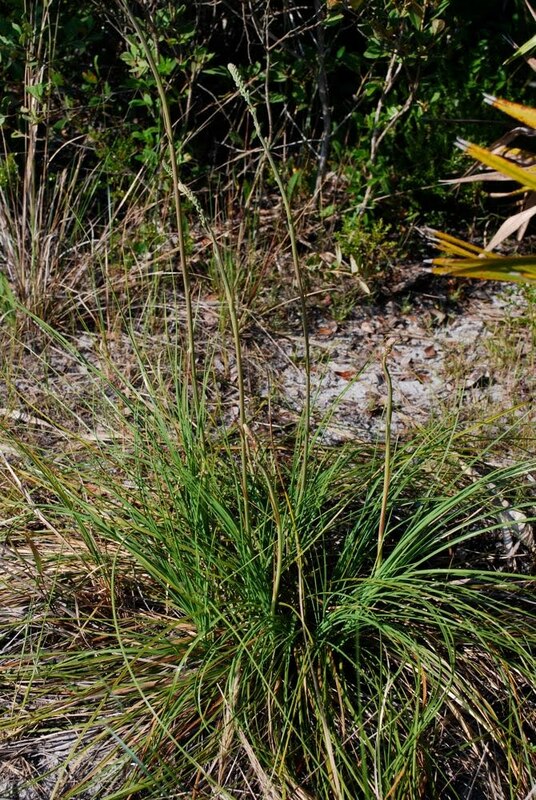 The eFlora website says that Florida beargrass is fire-tolerant and possibly fire-dependent. 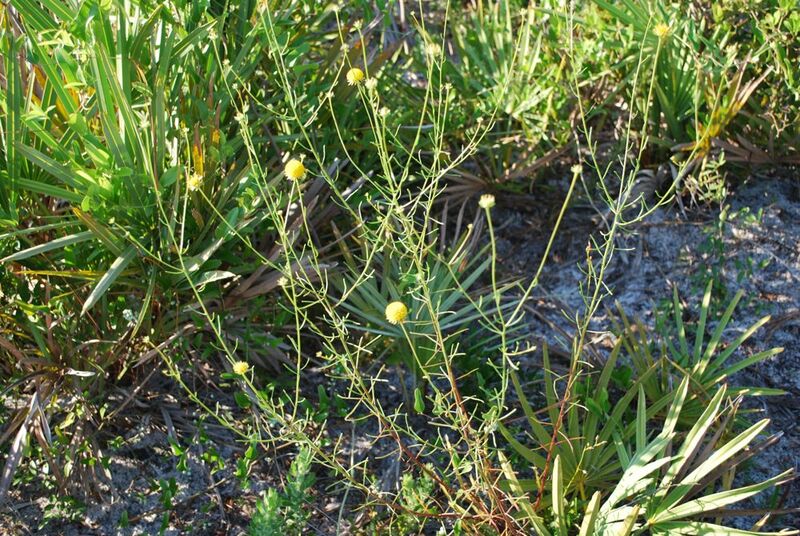 The plants are extremely rare and are listed as endangered by the state of Florida. 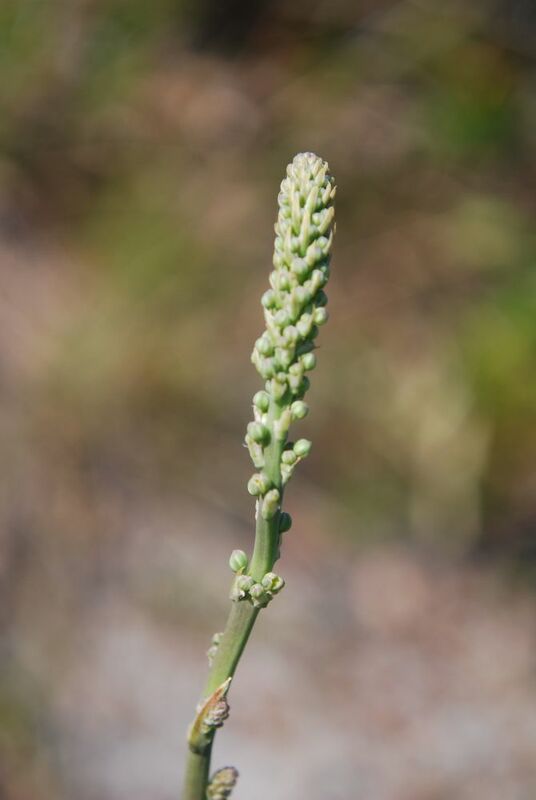 There is only one other species of beargrass in Florida: Britton's beargrass (Nolina brittoniana), found in a few inland counties in Florida. 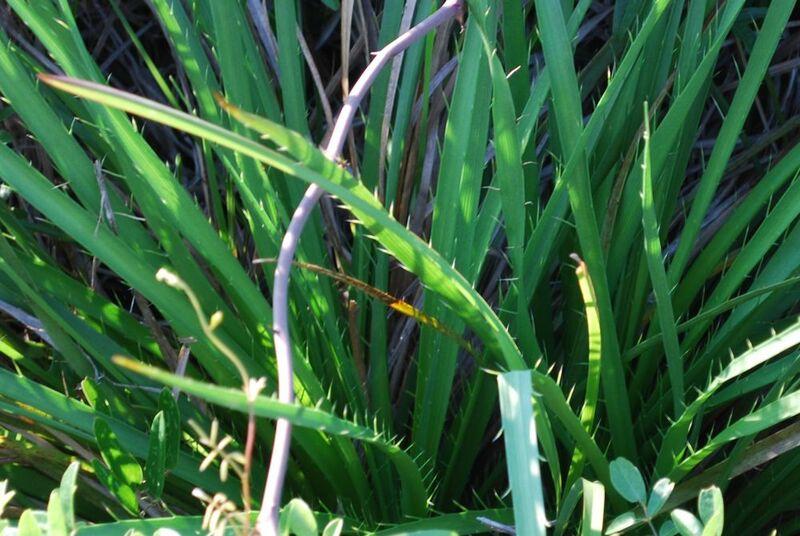 It is also native, a Florida endemic, rare and endangered. Native; moist soil; southern US. Native; moist soils; eastern US. 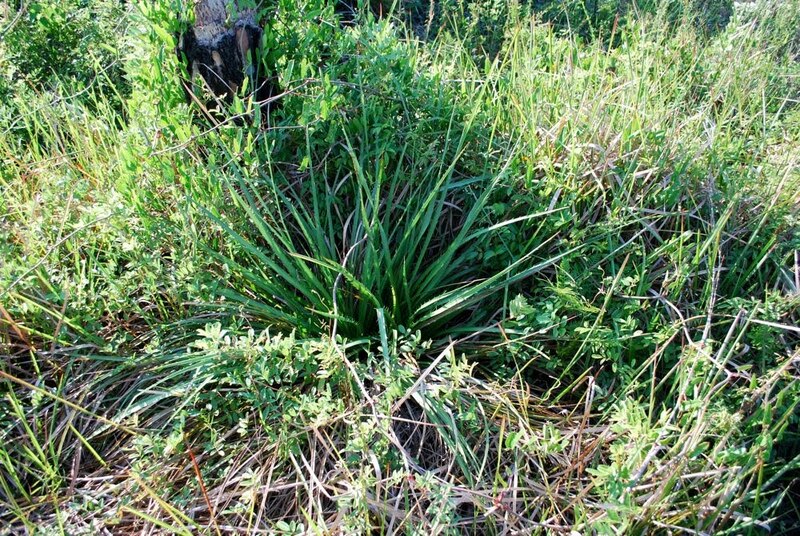 I had found this plant prior to the wildfires of 2006, so was happy to see it was still there. Native; dry soils; southern US. 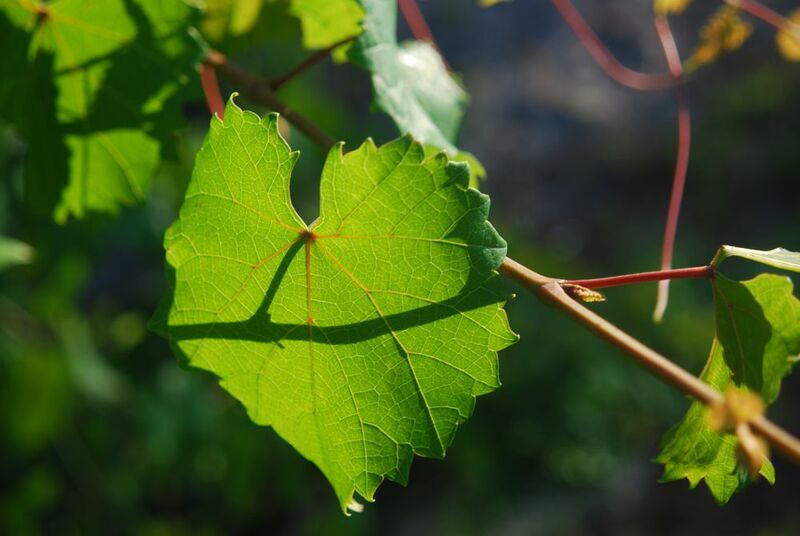 Native; dry, sandy soils; Florida, LA, MS, AL, GA, SC. 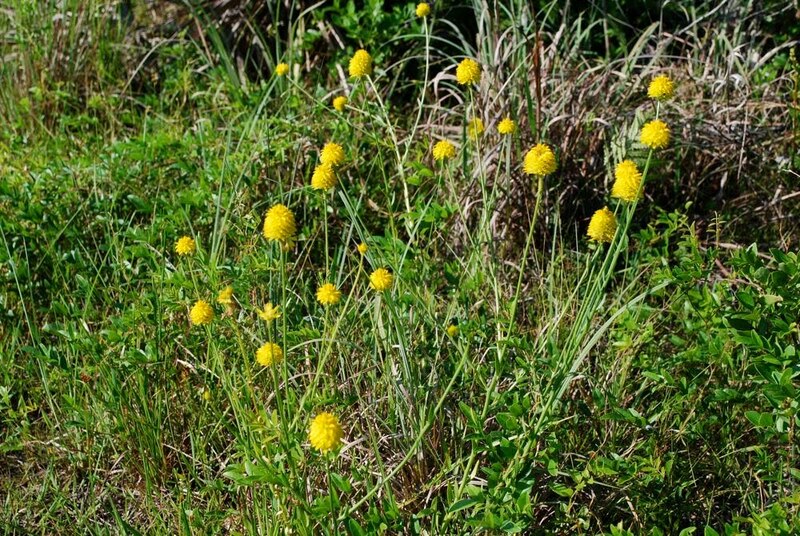 Now solved: it's Coastalplain honeycombhead; yellow buttons (Balduina angustifolia, Asteraceae). 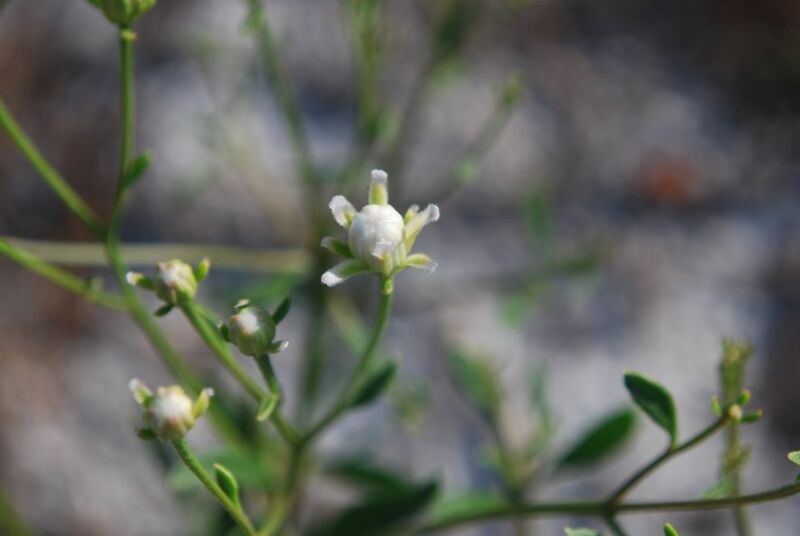 Now solved: it's Coastalplain palafox (Palafoxia integrifolia, Asteraceae). Unopened flower heads are shown.